Vintage Dodge M42 Command Army Truck | Handcrafted Metal Model | Fully Assembled | BUDK.com - Knives & Swords At The Lowest Prices! 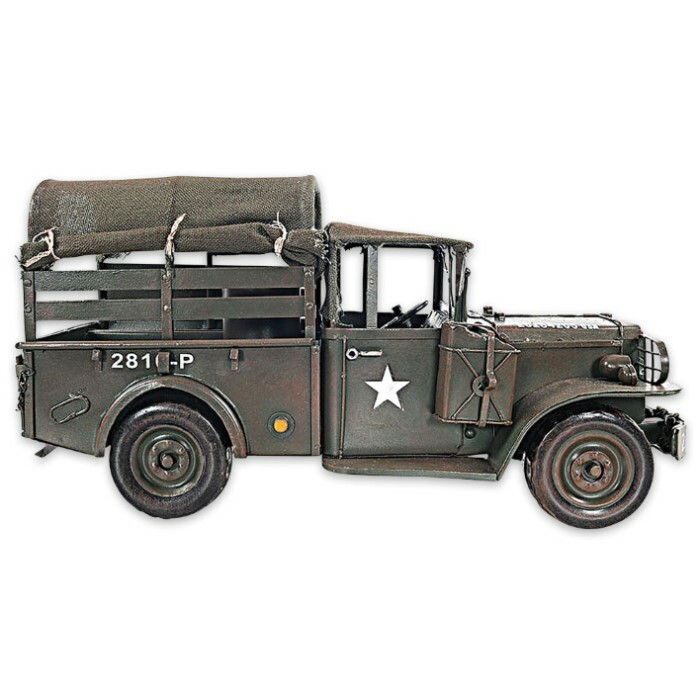 Travel back in time with this flawless, fully assembled scale model of the classic Dodge M42 Command Truck, a legendary US military workhorse during the World War II era. Master craftsmen painstakingly build each model on a tough iron frame. 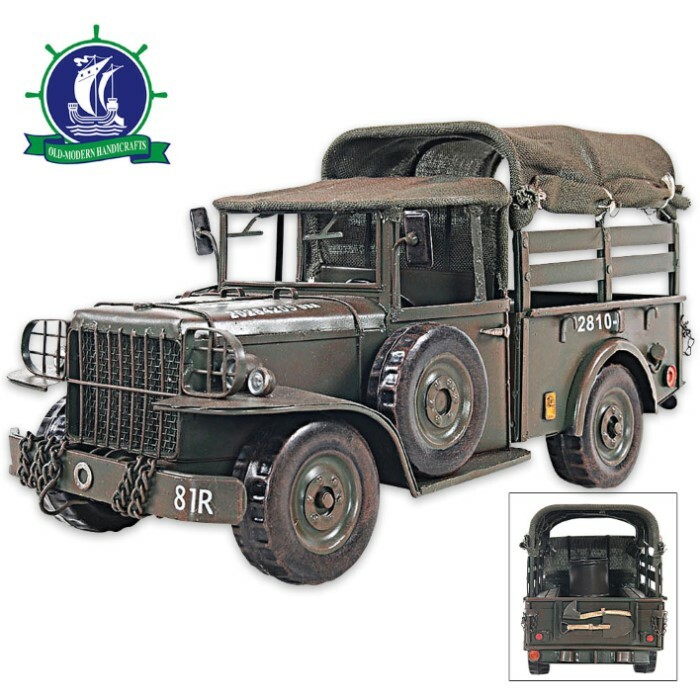 Rolling metal wheels, seats, steering wheel, tiny dash components, headlights, fenders, split rear end curtains and historically faithful paint and insignia are just a few of the myriad fine details that make this model so extraordinarily realistic and special. Exterior details like the chain, axe and shovel are securely welded on. A must-have for collectors and enthusiasts! Ships directly from manufacturer.